Brass Scrap and Honey Brass Scrap. With our expertise and trustworthiness, we are engaged in offering an optimum quality range of Brass Scrap. The excellent assortment of precision Brass Components that we offer is processed in accordance with the internationally approved quality benchmarks. These products are further tested on various parameters so as to offer zero defect products to the clients. This range of products is offered as per the exact specifications detailed by the clients. We are leading importers of brass scrap such as labels, pales, honey, night and ebony. Our range is sourced from reliable vendor base to ensure optimum quality during usage. We take utmost care to ensure these scraps have negligible impurities/attachments. These contain varied proportion of zinc to copper depending upon the type of scrap required by the client. 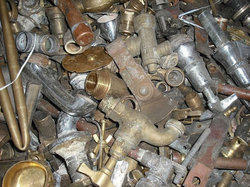 we offer brass scrap at compritive price. 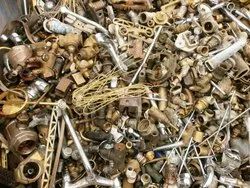 Leveraging the skills of our qualified team of professionals, we are instrumental in offering a wide range of Brass Scrap. Brass Clippings Scrap Shall consist of the cuttings of new unleaded yellow brass sheet or plate, to be clean and free from foreign substances and not to contain more than 10% of clean brass punchings under 1 /4 inch. To be free of Muntz metal and naval brass.